Get more for your money at the Quality Inn Downtown 4th Avenue hotel in Spokane, WA. Nearby destinations include Spokane Valley Mall, Deaconess Medical Center-Spokane, Spokane County Fair and Expo Center and Spokane Veterans Memorial Arena. 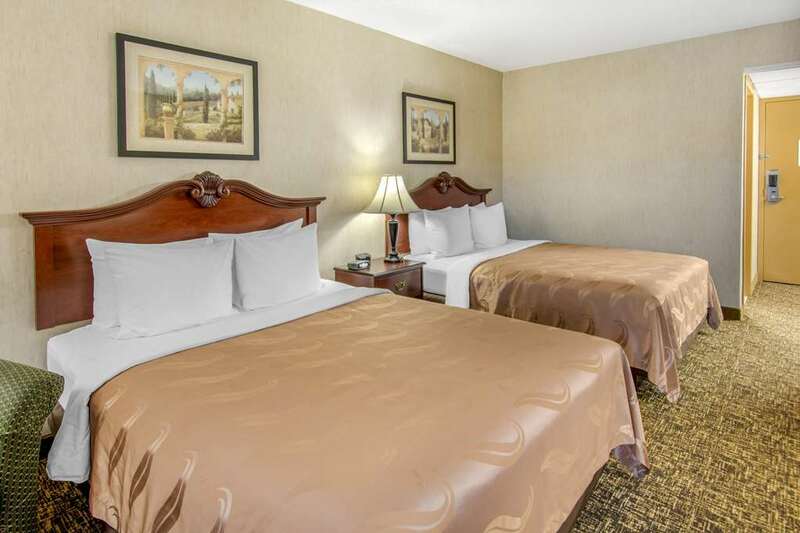 Take advantage of our guest laundry services and free amenities like breakfast, coffee, WiFi and airport transportation. Rooms come equipped with a flat-screen TV, refrigerator, desk, hair dryer and coffee maker. Also, earn rewards including free nights and gift cards with our Choice Privileges Rewards program. Shuttle service is available to/from airport and city wide-Charges apply. Contact hotel to schedule.